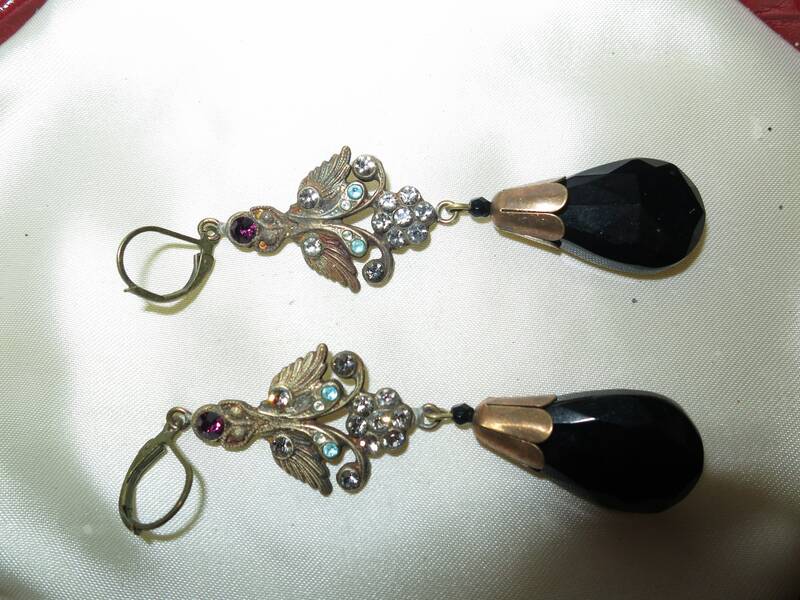 These Lovely Deco black glass earrings are hand-made from Czech glass . Fire-polished glass. The glass drops are rare for their unique combination of vibrant colors and shapes. Northern Bohemia - Jablonec Nad Nisou - has always been a region known for its glass and jewelry. 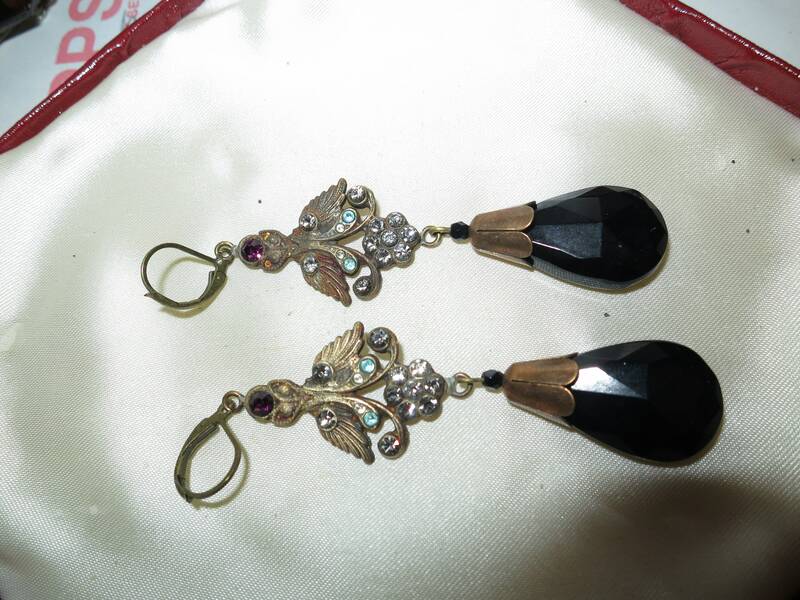 Earrings were made between circa 1940 - 1940. Metal parts are made of brass or alloy. Metal parts show some patina, finely polished. 7 cms long. 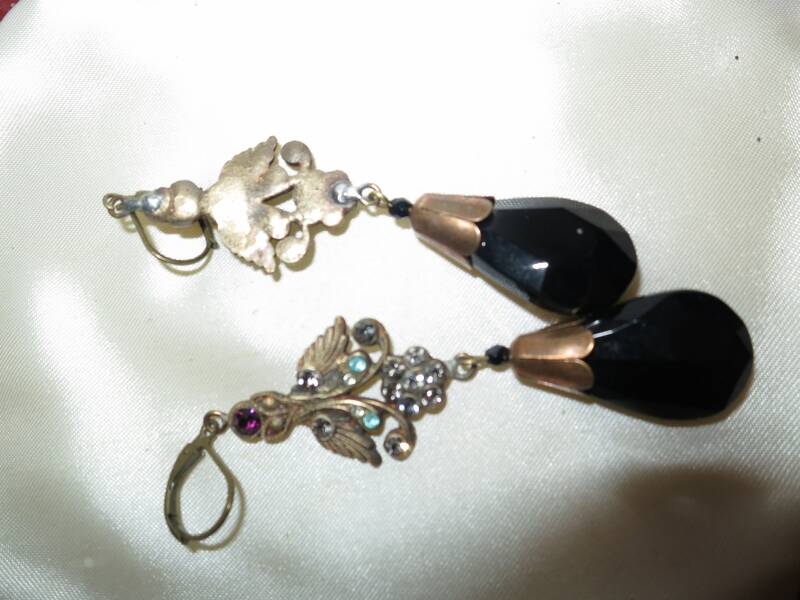 Leverback fittings for pierced ears.